​A blue and white logo was a starting point for the design of this suite. 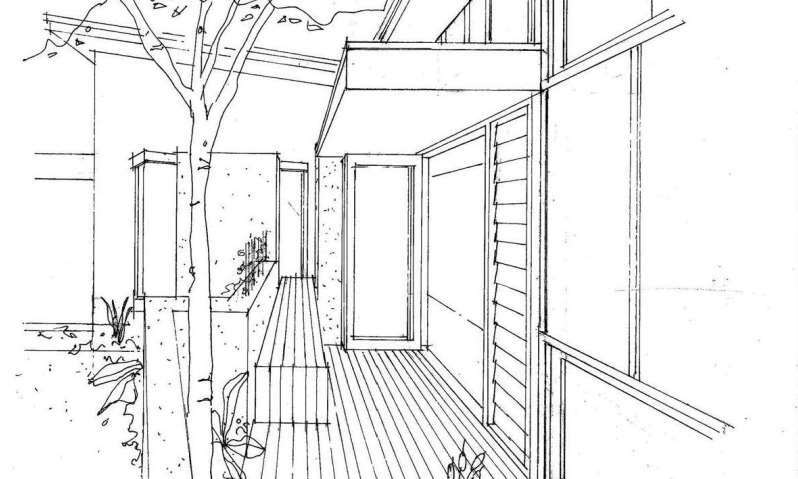 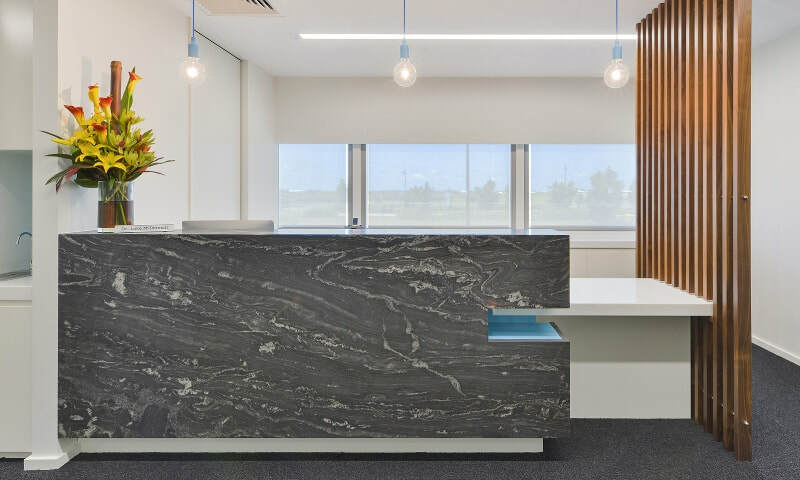 The design also features warm timber elements and a striking dark stone reception counter. 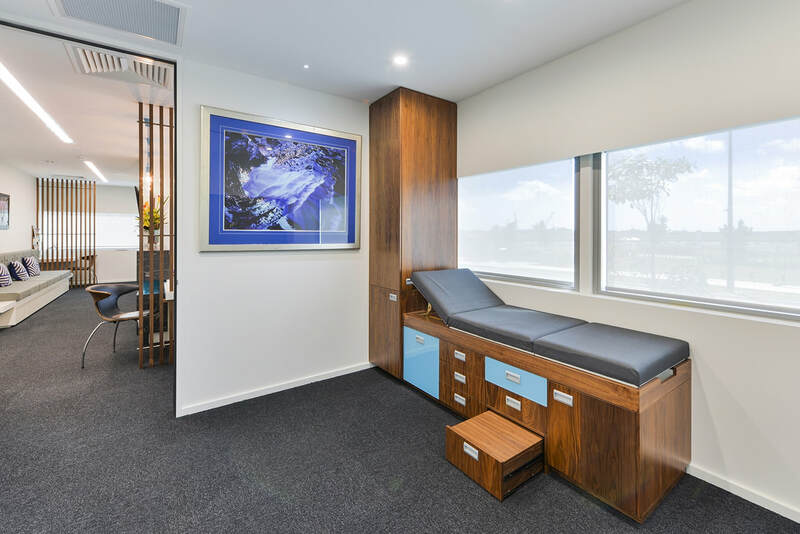 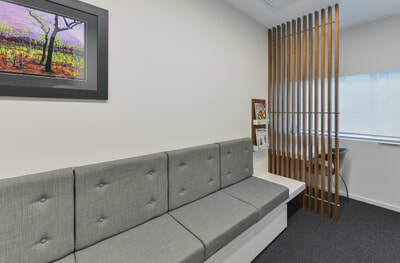 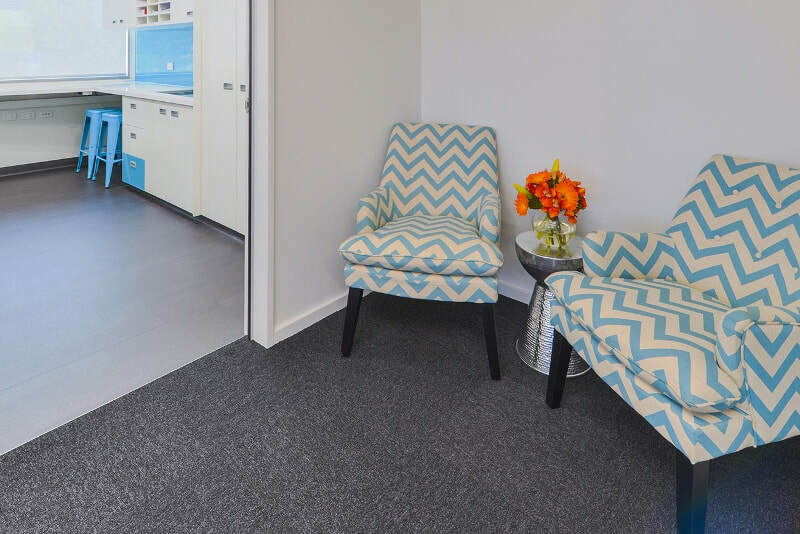 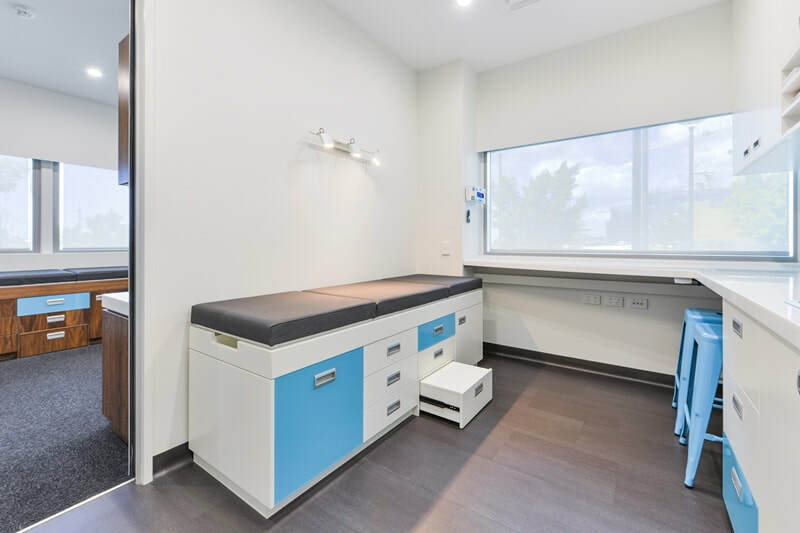 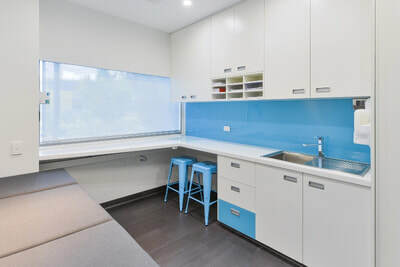 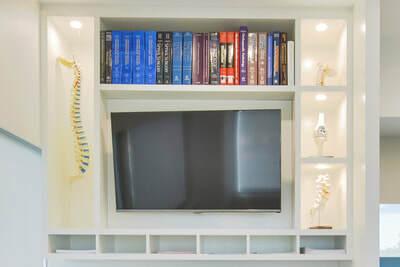 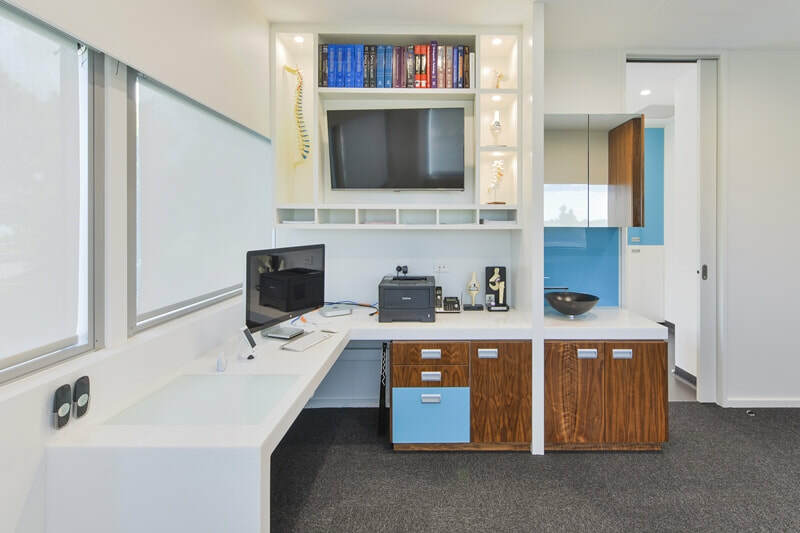 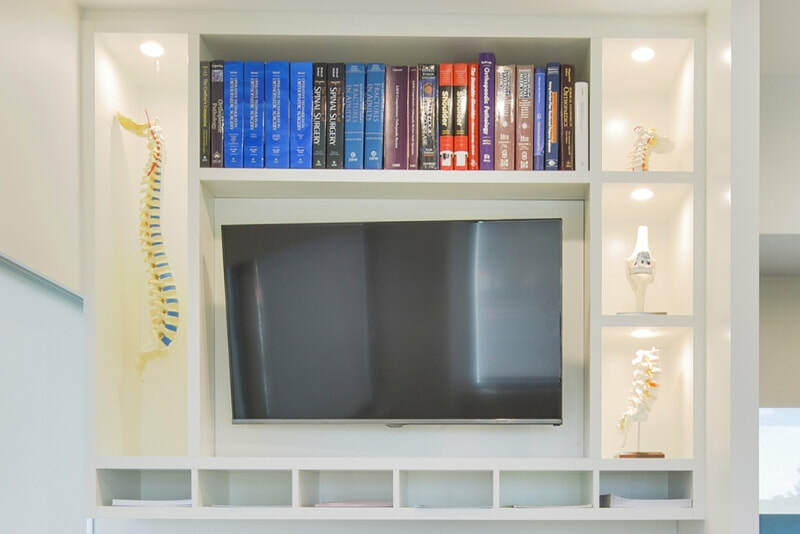 To ensure the best experience for Dr McDermott’s patients, the waiting area was designed with nooks that created one zone for watching information videos and another for relaxing. 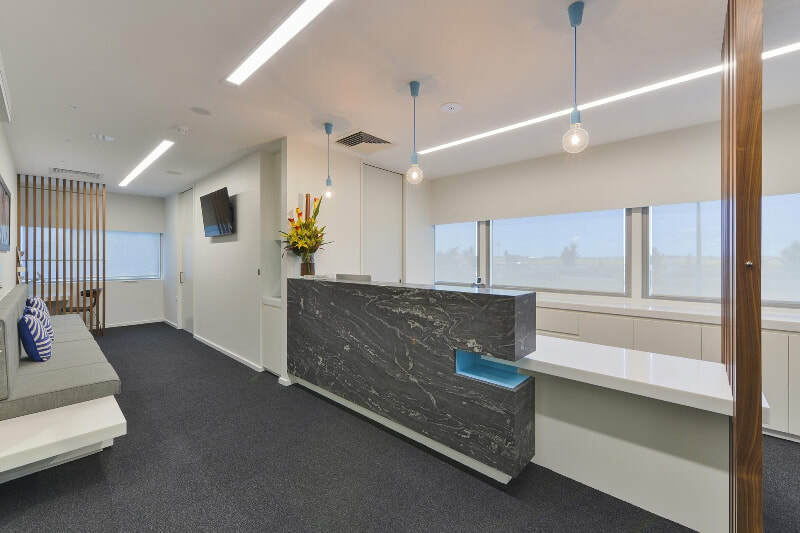 This focus on patient comfort led to the reception and waiting area being placed adjacent to windows to ensure natural light.